A calm desert you'll want to get lost in over and over again. 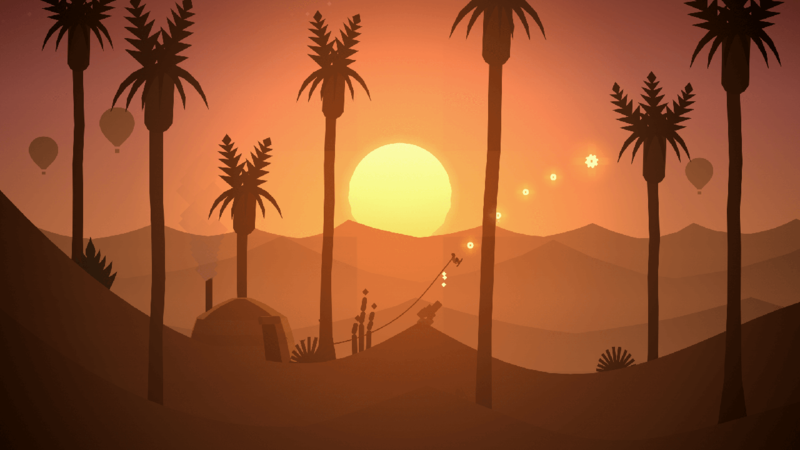 Alto’s Odyssey is an endless sandboarding journey set against a gorgeous and ever-changing desert landscape. 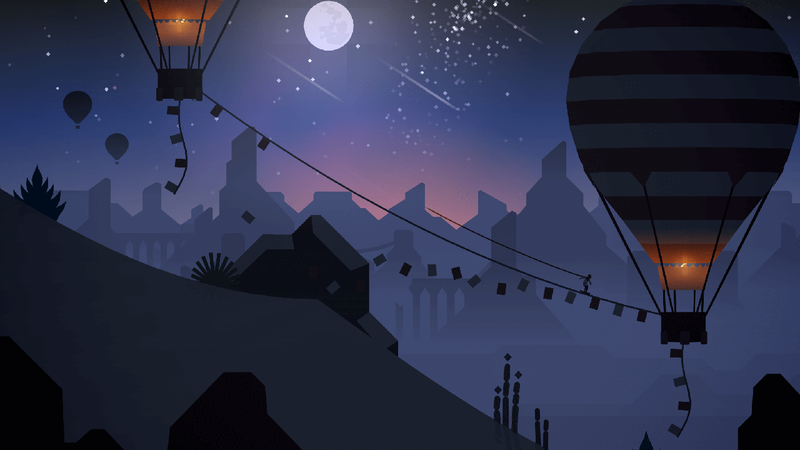 As a followup to the critically acclaimed endless snowboarder Alto's Adventure Alto’s Odyssey is designed to be enjoyed by returning players and newcomers alike as a standalone experience all its own. 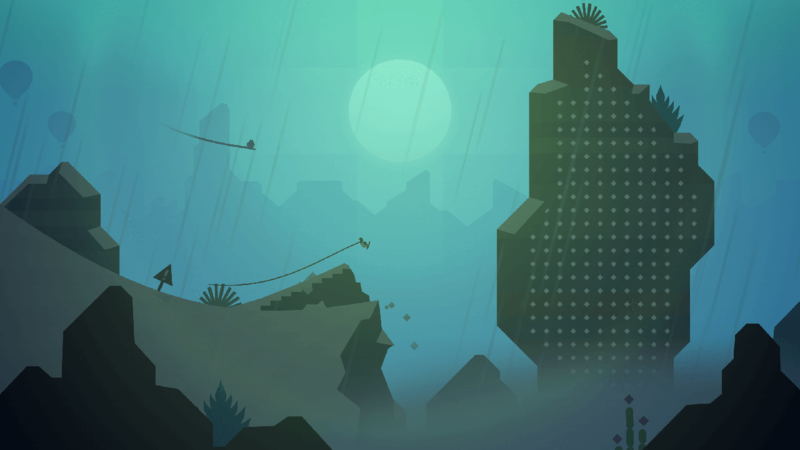 The game features Alto series hallmarks like fluid physics-based movement, procedurally generated terrain, and dynamic lighting and weather effects. This time around, players will soar above windswept dunes, traverse thrilling canyons, and explore long-hidden temple cities in a fantastical place far from Alto’s home village. Along the way, you’ll grind across vines, bounce atop hot air balloons, ride towering rock walls, and escape mischievous lemurs – all while uncovering the desert’s many mysteries.